WWW = Wide World of Wonder! Digital marketing changed the definition of the web for me! And what is digital marketing? Well, if you’ve ever been on the internet, you have encountered digital marketing. Any form of advertising, promoting, and marketing on any online platform is called digital marketing. Not only is online marketing far more effective than offline marketing, it is truly accessible to customers all around the world. Everyone is hopping on the marvelous wagon of digital marketing; let us take you for a ride too. What are the different ways in which digital marketing is done? 1. Content Marketing: We all know that content is king! If you’ve got the content right, half the job is done. Through content marketing, the brand shows the value of the product/service in question to convert leads and drive incremental sales. 2. Email Marketing: This form of marketing involves sending bulk emails to customers regarding deals on products. It’s an inexpensive way to increase sales and customer loyalty. Email marketing is one of the most efficient ways to put a marketing campaign out there. The trick that works in email marketing is to be regular, putting a personal touch to the emails, and making sure that you don’t spam! 3. Mobile marketing: What are your eyes glued to the most in your everyday life? The answer is crystal clear to all of us. Mobile marketing is done through SMS, by customizing advertisements for a mobile screen, and much more. Strategies such as geolocation are often made use of to market products to customers in a specific location. Mobile marketing has the highest conversion rates! 4. Social Media Marketing: Social media is where everyone is connected so why not promote your product there? Social Media Optimization (SMO) is basically the tactic through which brands and companies make themselves visible on any and every social media outlet. This can range from paid advertisements on social media to publishing engaging content regularly. Social media marketing is a great way to create an everlasting brand image! What makes digital marketing possible? 1. Search Engine Optimization (SEO): SEO is the most indispensable marketing strategy. This basically means that brands try hard to be the first ones to pop up in the Search Engines Result Pages (SERP). The trick here is to create useful content for your users, use relevant keywords in that content, and know what your customers will search for on Google. Because let’s be honest, no one looks on the second page of the search results! 2. Advertisements: Ads are all around us, aren’t they? This is the creative area of digital marketing. Businesses thrive or crumble based on how good their online advertising actually is. Platforms like Google AdWords provide a niche for companies to put up their products and listings so that they gain maximum visibility. Pay-Per-Click is another marketing strategy where every time you click on an ad, you get directed to the advertiser’s website and the publishers are paid. This helps the businesses in getting traffic to their website. 3. Web analytics: This is the brains behind digital marketing. Web and digital analytics in the simplest sense are like a calculator to check how SEO-friendly your content is. Tools of data analysis make one aware of what the users are actually looking for. For a digital marketer, data from web analysis helps in making decisions regarding advertising as well as promotional strategies. 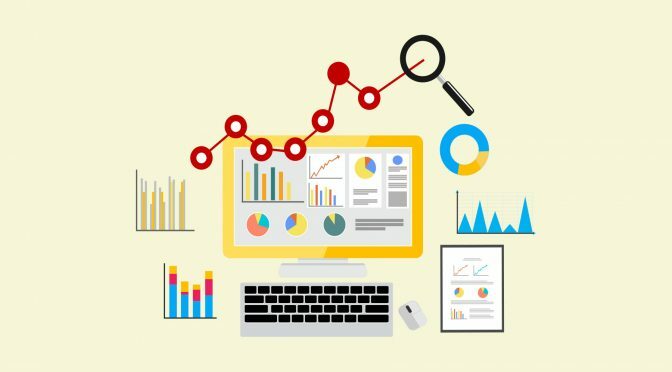 A digital marketing course will help you get familiar with web analytics in order to check how much traffic you are getting on your website and through which platform! What are my career options once I learn digital marketing? 1. SEO Executive: Once a digital marketing certification helps you learn SEO, you are ready to take over the world! The most important role of an SEO executive is to decide what sort of content should be produced and its long-term effects. In addition to this, you will be responsible for conducting keyword research, running PPC campaigns, improving site performance, and formulating ways in which you can attract traffic to your website. 2. Social Media Manager: You will be responsible for creating social media marketing strategies and taking decisions regarding what should be published on various online platforms. Visual design, engagement tactics, and promotion strategies are some of the many ways in which social media managers maintain and increase the online visibility of their brands and businesses. 3. Copywriter: Are you the master of cheeky one-liners and want to make use of your talent? Then, there’s plenty for you to do in digital marketing. When it comes to designing advertisements or publishing blog posts, copywriters are the true saviors! You aren’t just responsible for writing a line, you are also the voice of the brand! 4. Analytics manager: You already know what web analytics is. An analytics manager is responsible for using the data through web analytics in order to create the most effective business strategies. These strategies then go on to determine the future of the business. Oh, boy! Isn’t digital marketing truly enthralling? I know you can’t contain yourself so check out Internshala’s Digital Marketing Training – get an additional 10% discount and learn all the strategies that will help you create smooth sailing online marketing tactics. I want to learn more about digital marketing. You may google if you have any specific questions about digital marketing. If you wish to learn digital marketing, please visit https://trainings.internshala.com/digital-marketing-training?utm_source=IS_Blog&referral=BLOG10&utm_medium=digital-marketing-article and avail an additional 10% discount. Great , I also learn digital marketing from internshala training course ,they teach Very well and I also done seo for my website after learning digital marketing, you can see example https://web4study.com/ that how effective I done seo ,this all credit goes to internshala training. Thanks a lot for your support #Internshala. I have tried all the tricks but my website search ranking doesn’t improved. What can i do…..? Thank you very much for sharing detailed information o digital marketing, it’s very useful article and hope to read more about your experience.